Cherryland members were introduced to a new voting option for the 2017 board election. In addition to voting via a mail-in ballot or in-person at the annual meeting, members could cast their vote using any device with an internet connection. Cherryland partnered with Survey & Ballot Systems of Minnesota to administer the voting. The outcome? The 2017 board election had the most ballots cast in Cherryland’s history! Votes were up over 100 percent from last year. The annual meeting itself was a success as well. Over 1,000 members gathered together at Incredible Mo’s on June 15 for Cherryland’s 79th Annual Meeting. There was plenty of good old-fashioned family fun to be had including bowling, pizza and arcade games. 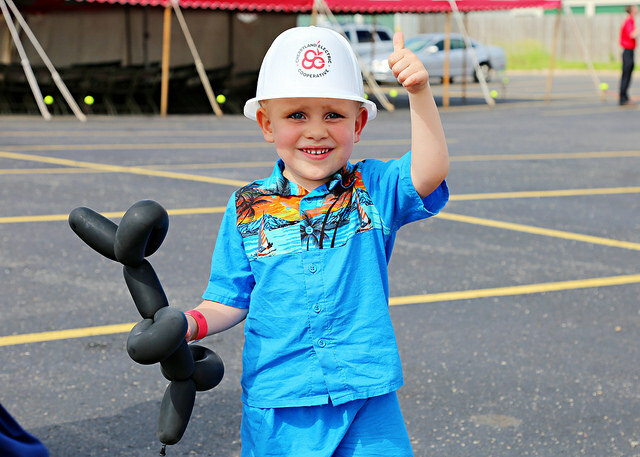 Cherryland also offered bucket truck rides, balloon animals, face painting and corn hole. Two director seats were up for re-election and both incumbents were re-seated.